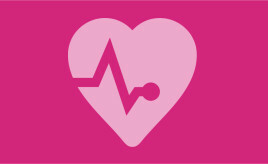 Housing Partners for Health and Wellbeing is a group of housing stakeholders with an interest in health and social care integration as well as wider health and wellbeing outcomes. The group meet every six weeks. The SFHA represents​ members at this group. The last meeting was on the 1 November 2016. Donna Burnett talked to the Partners about the recently published Fuel Poverty Report, which highlighted that despite signifcant investment in energy efficiency in recent years, levels of ful poverty have in fact risen. This has largely been because focusing on energy efficiency alone is not enough. There is a need to tackle low household incomes, cost of energy and how energy is used in the home, or else fuel poverty will not be overcome. Donna highlighted that it has to have a cross-cutting approach as one portfolio can’t achieve it all. 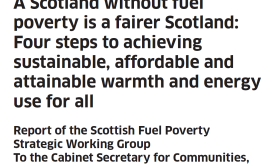 A key point that was made related to 'precarious incomes' and zero hour contracts, so that people can go in and out of fuel poverty on a regular basis. The conversation moved on to discuss moving towards a notion of 'affordable and attainable warmth within the home' rather than just fuel poverty. It was also asked if this could be seen as a 'right'. Donna highlighted that one of the report's recommendations was around collaborative relationships, and how data could be better shared between support organisations to pick up a person's whole story, rather than just deal with one issue at a time. It would be good if the focus of organisations was on wellbeing, which might encourage organisations to work together for the benefit of the individual. 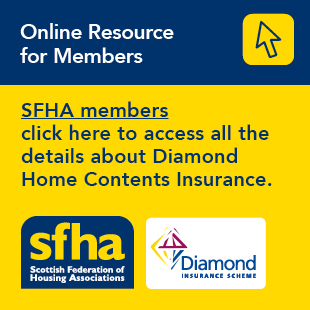 An example was given about the Community Planning Partnership in Fife – where a ‘case-load’ approach is being used, with smaller patches so that they can get to know their customers better so that they can sign post to relevant organisations. They are also offering a fuel top up of £10 when a household has applied for UC, to help prevent fuel poverty when someone moves onto benefits. People in private sector often don’t feel confident enough to access the help. Good progress has been made in relation to this report, and final checks are going on. A communication strategy is getting developed so that the report is widely read and used. The learning sessions for adapting for change are continuing, and the evaluation due to report in January (Craigforth have been appointed to do this). Training materials are being developed with a ‘level approach’ with level 1 being awareness with progression up the levels as the your job requires more involvement. Place Home and Housing attending the Chief Officers Group in mid-October, Kenny presented on the review of the HCS and the Joint Strategic Plans. This review has focused on best practice and reducing inequalities. The process has involved workshops, case studies, etc. The next HPHW meeting will be on the 13 December 2016. Get in touch with Zhan if there is anything that you would like raised or discussed.